Water is very essential to life. Man can survive without food for days but weakens if he has no water to drink. Aside from hydration purposes, it is also used for cooking, cleaning, bathing, watering the plants and so many other purposes. Today, drinking water coolers are popular for homes, schools, and offices. Having safe and potable water is very important and it is even more enjoyable when it is served cold. A wall-mounted water cooler, which is also called a drinking fountain, uses the house or building’s tap water supply and come with a button or a valve. When pressed, the chilled water spouts up and stops when the button is released. The spout must allow a water flow of at least four inches high. A wall-mounted water cooler is ideal for large households or for homes with disabled persons. The height requirement of the water fountain is 36 inches from the ground so that kids and people in wheelchairs can maneuver it easily. The second type, which is the freestanding water cooler, is a new innovation. 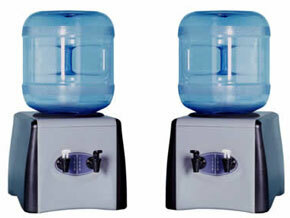 A freestanding water cooler is often used in houses or offices where tap water is not considered safe for drinking. The water is sourced from water bottling companies and this type of drinking water cooler generally has two taps, one for cold water and another one for hot water. It is plugged into an electric outlet to change the water temperature. Unplugging the water cooler keeps the water at room temperature. The bottle for this type of water cooler holds up to five gallons of water. You can change the empty water bottle yourself, or you can wait for the deliveryman to do it for you. Just make sure that the water bottle is clean before placing it. A porcelain water cooler is also available, and even if it is not electric, the water is still kept at a cool temperature because of the 100% vitrified porcelain crock that it is built with. It is important to ensure the cleanliness of drinking water coolers. Regular cleaning of the water cooler eliminates the growth of bacteria. There is no need to clean the wall-mounted fountain often but you may need to regularly clean a freestanding water cooler because it is susceptible to the contamination of germs and bacteria. A bleach solution is ideal for cleaning a freestanding water cooler. Just dilute a tablespoon of bleach per gallon of water. Before cleaning the water cooler, make sure it is unplugged from the electrical outlet, and then begin to wipe the water dispenser and let the solution stand for a few minutes. This removes any build up in the unit. The removable dip tray can be cleaned using a mild detergent. The replacement water bottle should always be wiped clean before being placed it into the water cooler.